Poke multiple holes all around it (think of someone you dislike, like an ex.) and place it in the center of baking sheet. Roast the squash for about 45-50 minutes, turning it about half way. It will be done once you can easily cut through the center with a knife. Finely chop the garlic and add it 1 tbsp of EVOO and sautée lightly at medium in a sauce pan for about 2-3 minutes. 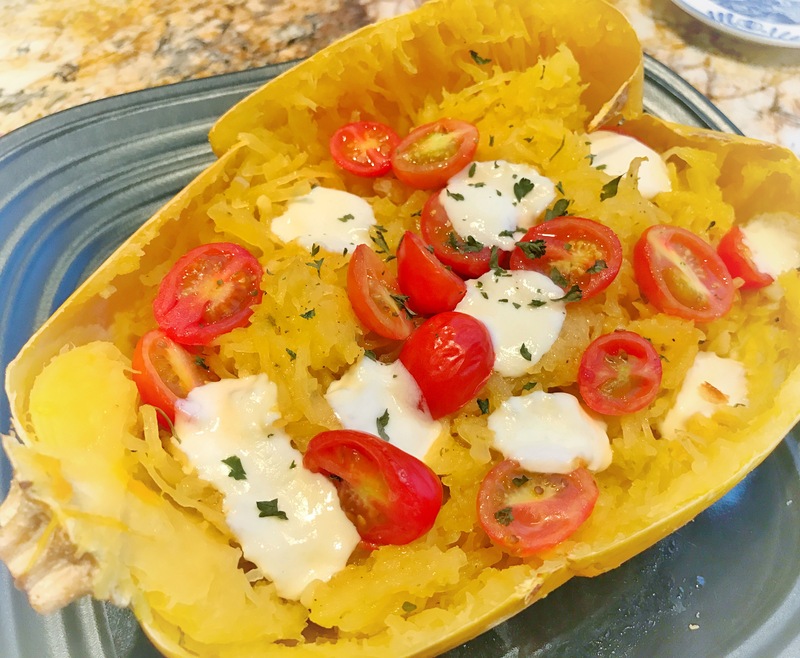 Add spaghetti squash strands to garlic and olive oil mixture. Season well with salt and pepper to taste. Add lemon juice. 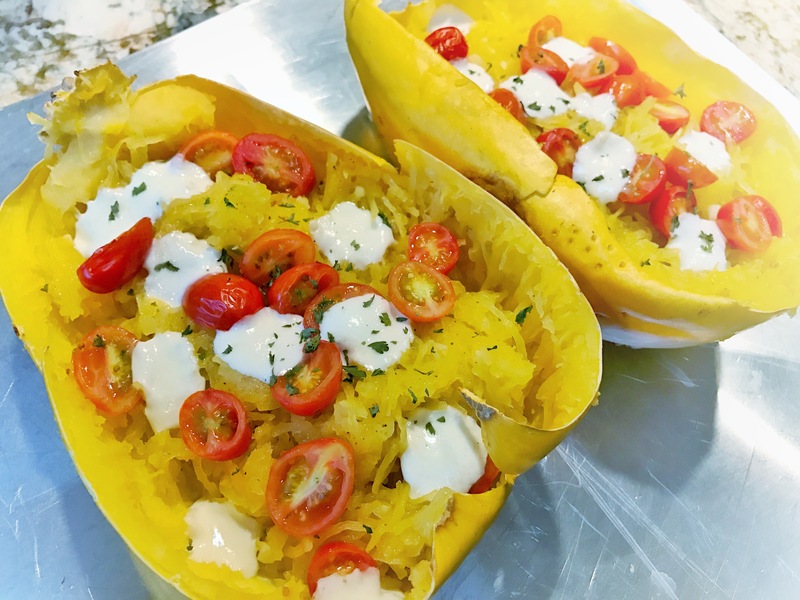 Return the portions to squash shells. Sprinkle halved cherry tomatoes and mozzarella pearls on top followed by dry parsley. Broil for 1-2 minutes until mozzarella is melted. Serve with protein of choice. I added grilled chicken. 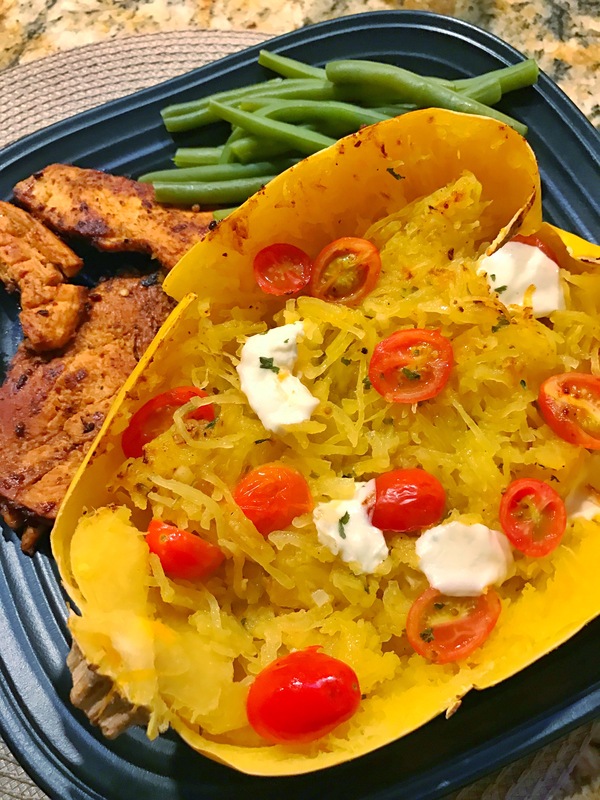 This entry was posted in Dine with me, Saucy Pastas, Wine and Dine and tagged aioli spaghetti squash, lemon aioli, spaghetti squash. Making this tomorrow! Lookout for some snapchats 😂 Looking forward to it!